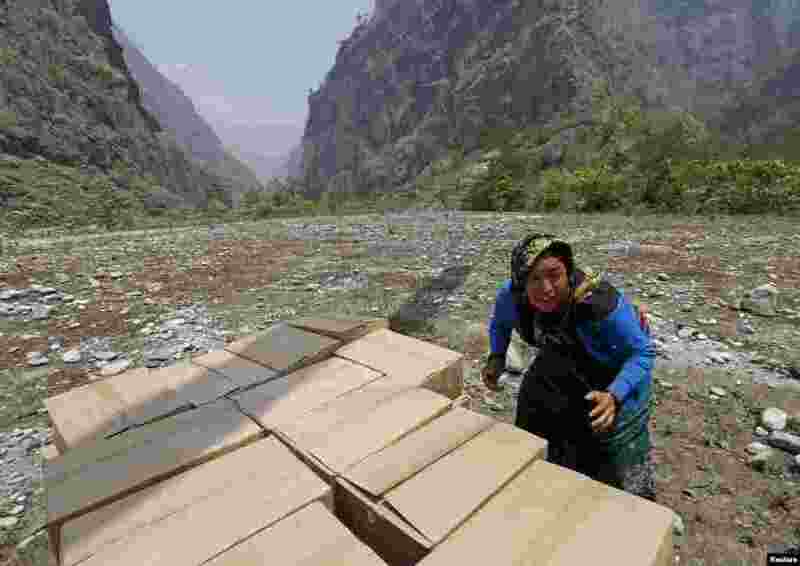 1 A woman helps unload emergency food supplies after the April 25 earthquake in Dovan, Nepal, May 8, 2015. 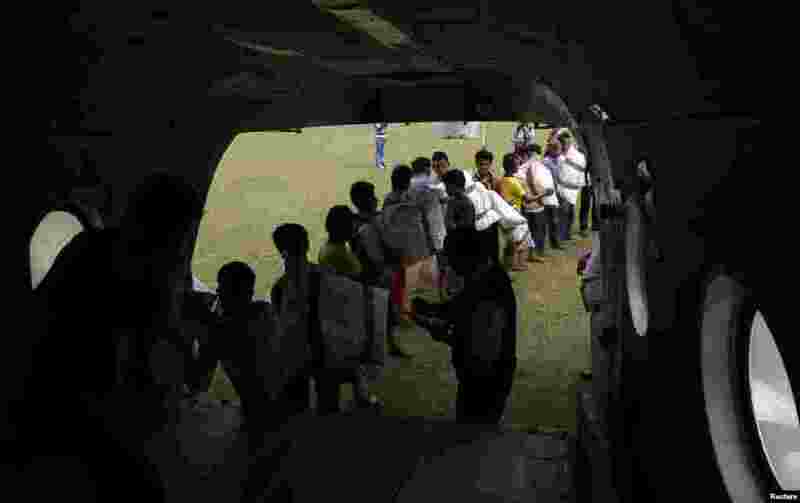 2 Men load emergency food supplies onto a helicopter after the April 25 earthquake in Deurali, Nepal, May 8, 2015. 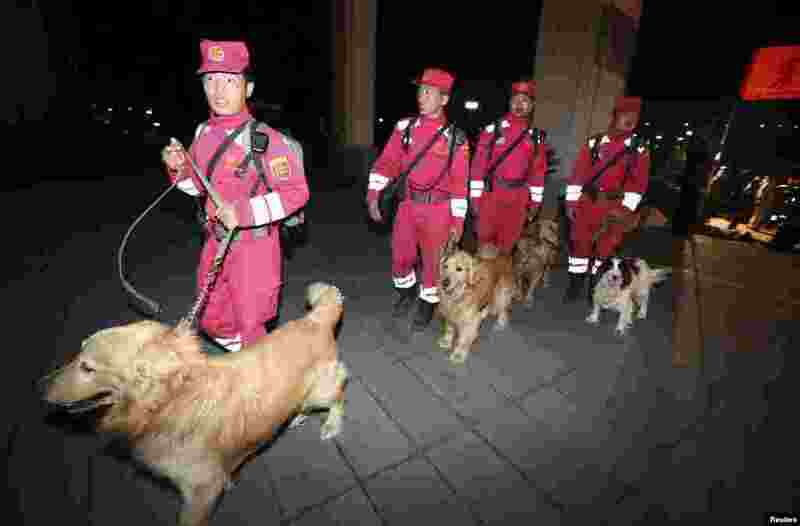 3 Members of China International Search & Rescue Team and their rescue dogs arrive at Beijing Capital International Airport after a 13-day mission in Nepal, China, May 8, 2015. 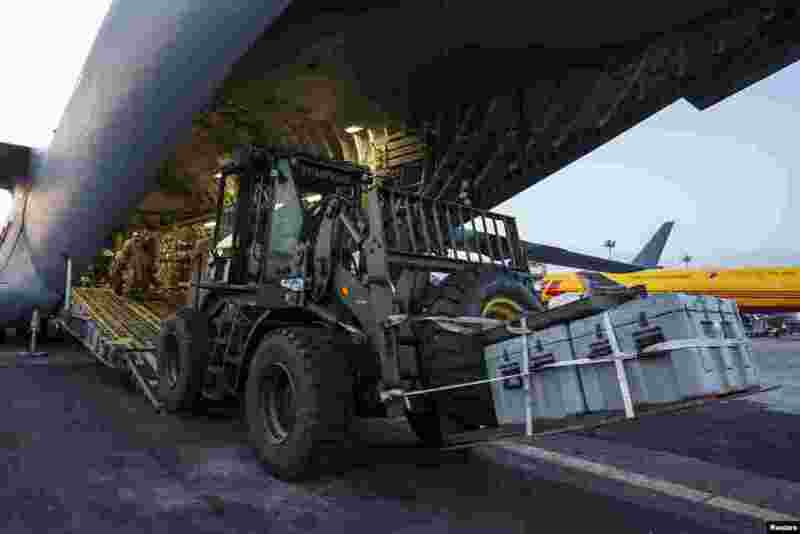 4 A vehicle is unloaded from an U.S. Air Force C-17A Globemaster III aircraft after it landed at Tribhuvan International in Kathmandu, Nepal, May 5, 2015.